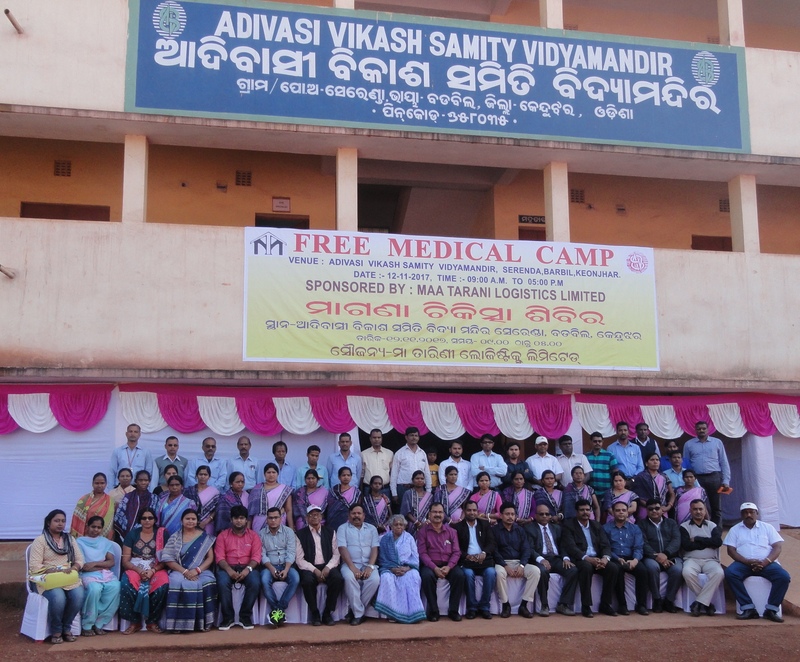 As a part of Maa Tarani Logistics Limited CSR activity a free Medical Camp was organised at Adivasi Vikash Samiti residential School at Serenda. More than 780 students & 58 teaching non teaching staff were examined, treated and provided with medicine. Total 10 doctors including ENT specialist, Child specialist,Eye specialist, Skin specialist, Medicine specialist, Emergency physician & Surgeon specialist were conducted the medical examination. The Camp was inaugurated by Padmashri Tulasi Munda in presence of Director MTLL Mr. K.E Yuvaraj, Mr. B.C Swain (AVP HR/IR), Mr. N. Sekhar(AVP Health Care), Mr. B.K Patashani (Head CSR) and other officials.